For the experience ship modelers only! 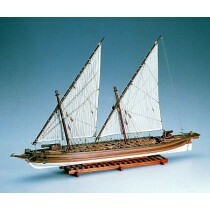 Actually, these are the same plans that are included in some of the finest ship model kits we carry. 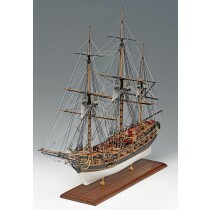 Those of you who are interested in scratch-building a ship model, this is a great way to go. Many modelers build from draughts of actual ships. But, this takes much work to translate the information into useable measurements and diagrams before any wood cutting can actually take place. 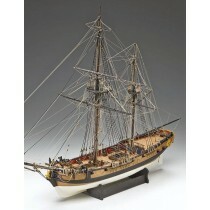 Ship Model Plans, on the other hand, allow you to get right to the heart of the matter, building a ship model from scratch using the same bulkhead patterns used in ship model kits that can cost many hundreds of dollars. Building a model this way also allows you to choose your own wood and fittings. And, of course, we carry a full range of both woods and fittings. And, even if you're not planning on scratch-building a model, buying the plans is a nice way of previewing that kit you're eventually looking to build. 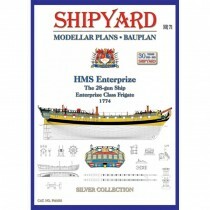 Note that Shipyard Modellar Plans are more general in nature, very detailed, but do not provide structural components. In this way, they are more like original ship's draughts.